Easter Week Countdown – Leaf’s 1971 Easter Favorites! Topps’ 1974 Lineup! For Fun and Profit! Wacky Wednesdays – Mold Rush! 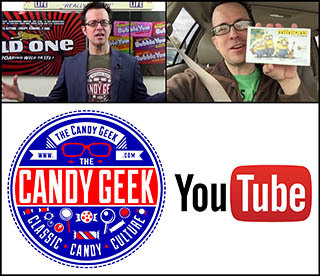 It’s the middle of the week, so it’s time for another edition of CollectingCandy.com’s Wacky Wednesdays! For today’s post, we’re going to look at one of my favorite Wacky Package stickers. It’s from 1974’s Wacky Packages series 6: Mold Rush. Leaf’s Hip Bubble Gum – It’s Psychedlic! A Fun One for Friday: Fleer’s Cherry Blast Bubble Gum! A Fun One For Friday – Donruss’ Flat Foot Bubblegum! Today’s post is about one of candy’s one-hit wonders – a product that likely didn’t last more than a year before it disappeared into confectionery history – Donruss’ Flat Foot bubble gum.